Gonzalo Higuain has all the skills to succeed in England but Pat Nevin believes Chelsea's wingers must be more incisive if they are to give him the requisite service. 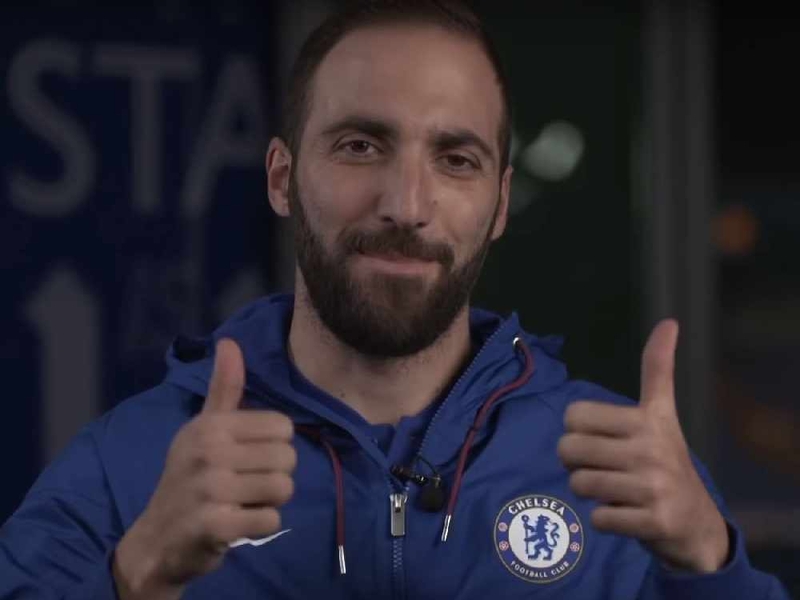 Higuain made his Premier League debut tonight, starting up front with Eden Hazard back to his preferred position on the left wing with Pedro on the other flank. Former Chelsea winger Nevin is excited to see the Argentinian join the Blues but also believes the problems must be solved by a more direct tactical approach that will suit the new signing. "You watch Chelsea at the moment and you think 'what fabulous players and how incredibly slow they are at getting into the last third'," Nevin told told Ian Stone's Comedy Breakfast (weekdays 6.30am-10.30am). "I never ever worked with a centre-forward who didn't say to me 'get it in early, Pat'. "The reason for that is that there is space early. The space disappears when good defenders, or even average defenders, have time. "They get behind the ball, position themselves well and get in the right situations. "It's quite clear what Chelsea's problem is, that they're not moving it quick enough into the final third. "Sometimes that's not their fault because teams will sit back and put nine behind the ball. You can't play quick when they're all just parked in there anyway. "But you look at the way it plays, the number of passes, sometimes you've got to think not that they need to lump it forward but that the wide players need to get at pace beyond people. "You watch Sterling, Salah, Sane do it and they're the ones that seem to make a massive difference to the teams at the top of the table. "Chelsea need a bit more of that. Higuain will score goals but you've got to give him the chances." One of those players who could provide that creative spark in wide areas is Callum Hudson-Odoi, the 18-year-old Englishman who has been the subject of four consecutive bids from Bayern Munich in recent weeks. Chelsea are desperate to hang onto the promising youngster but do not appear keen enough on his talents to hand him a spot in the starting line-up - which has in turn led to him handing in a transfer request. Nevin added: "Basically we should all want to play football and it's actually something to be applauded, to do that and not just sit back and take the huge sums of money all the time. You will learn but you can do that out on loan. "Look at Christensen. He went out to Borussia Monchengladbach and got lots of gametime. He came back and got lots of Chelsea gametime. "He isn't just now because he's not the best at the club right now. There are better players. "And it comes down to that in the end. You talk about all the players who have come through the system and Chelsea don't give them chances; tell me the ones that are burning up the division. "If you get a game for Liverpool, Manchester City, Spurs, Chelsea and Arsenal, you'd better be hell of a good player. You'd better be world-class and you'd better be doing it every week."